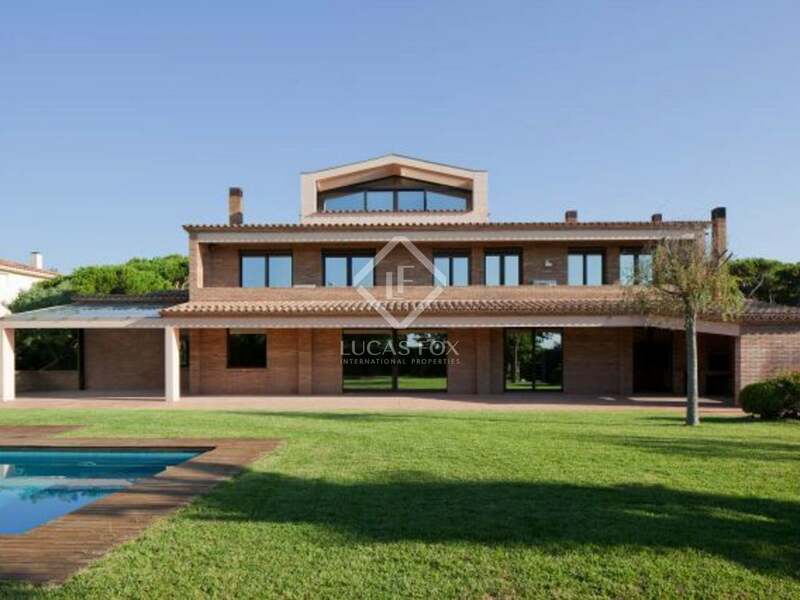 This stunning, modern villa for sale is located just across the road from the beach in Gavà Mar. 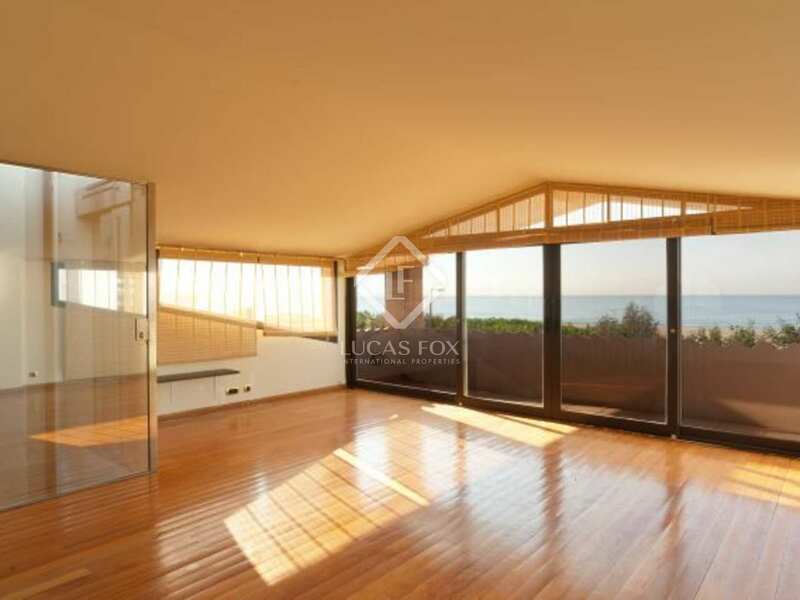 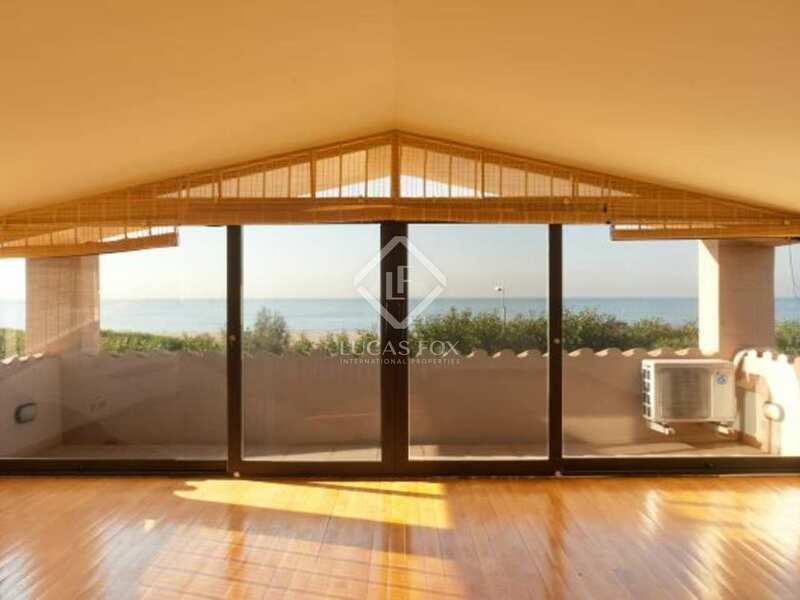 The property boasts large, light filled rooms and spectacular sea views. 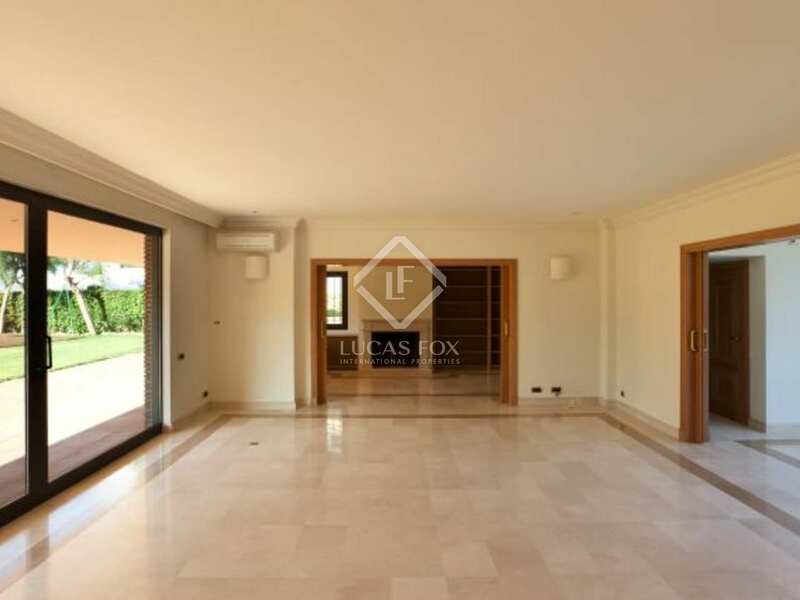 The interior is spacious and in impeccable condition. 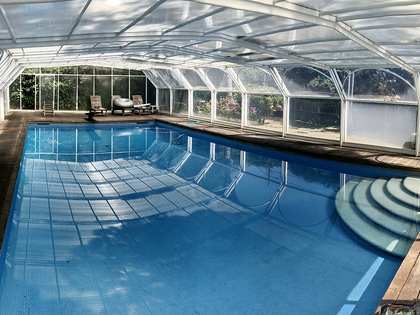 There is a large lawn in front of the house with a beautiful swimming pool surrounded by teak decking. 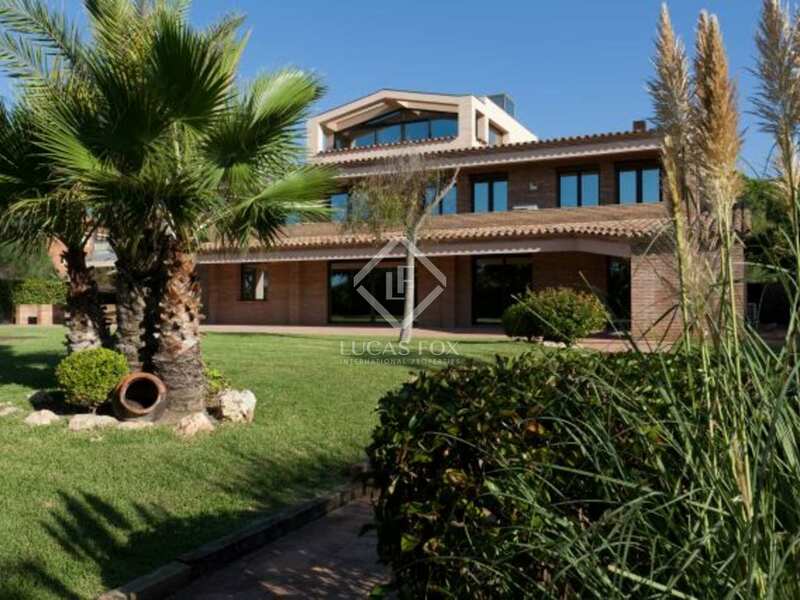 This villa is located just across the road from the beach in Gavà Mar. 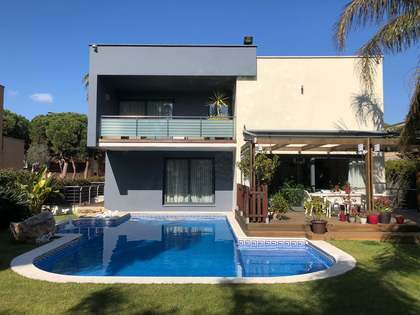 Situated on the coast directly between Sitges and Barcelona, Gavà Mar offers the best of Barcelona living, within the serenity of its quieter suburban settlement. 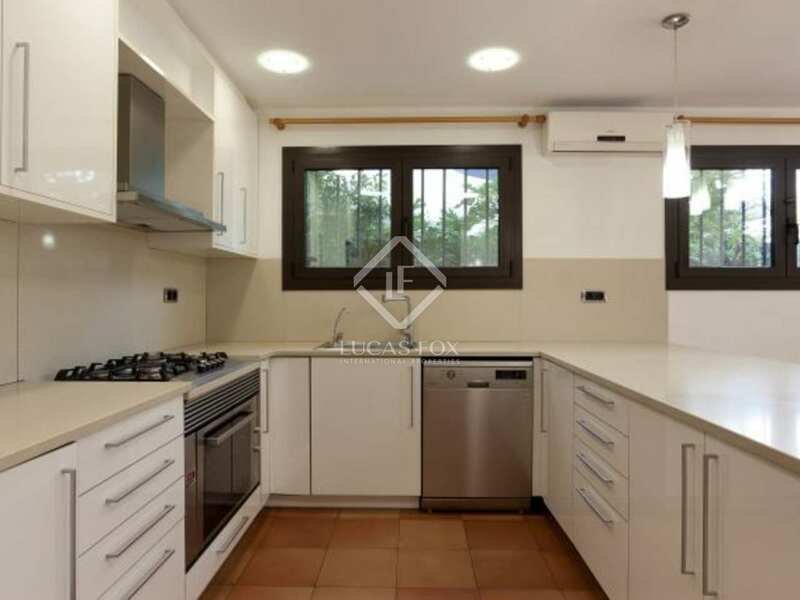 This fashionable neighbourhood is surrounded by fragrant pine trees, embellished with miles of wide and resplendent sandy beaches and framed by the impressive mountains of the Garraf National Park. 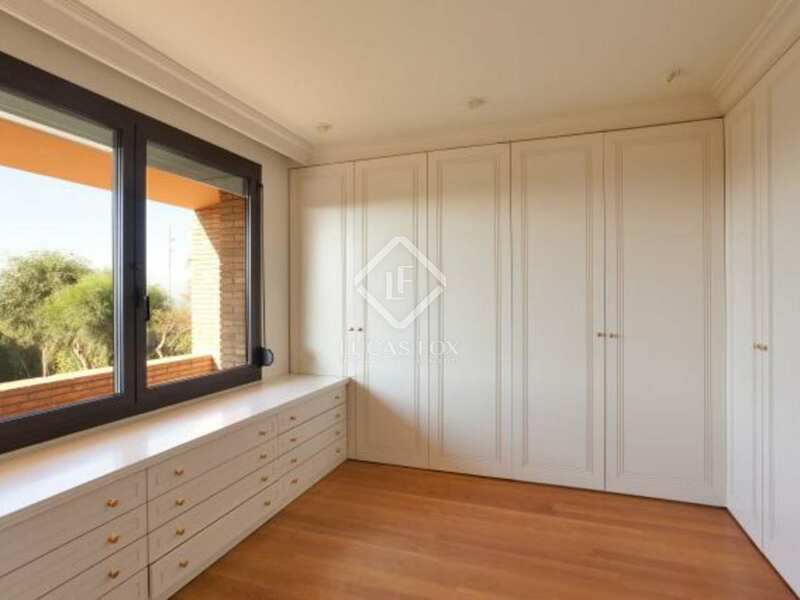 Subsequently it is no surprise that Gavà Mar is an attractive prospect for a wide variety of international families looking to relocate within Barcelona. 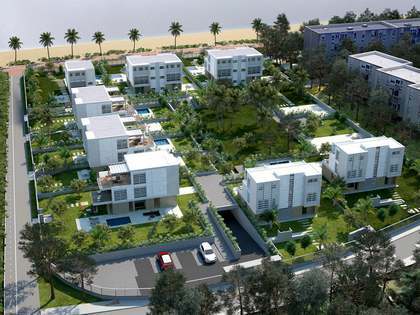 Local amenities include several prestigious restaurants and the Accura wellness centre; furthermore the neighbouring towns of Castelldefels and Gavà both have an abundance of local shops, businesses and schools to include the internationally esteemed British school of Barcelona and Lycée Français de Gavà Bon Soleil. 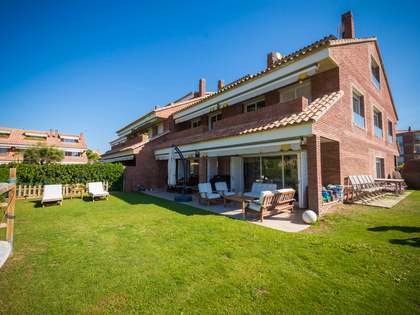 In addition a large variety of sports clubs situated within Castelldefels and Gavà offer a variety of activities for the sports enthusiast to indulge in, such as the spacious Olympic sports facilities located at Canal Olímpico, the famous tennis academy of Sánchez - Casal and several maritime clubs for sailing, kite-surfing and wakeboarding activities. 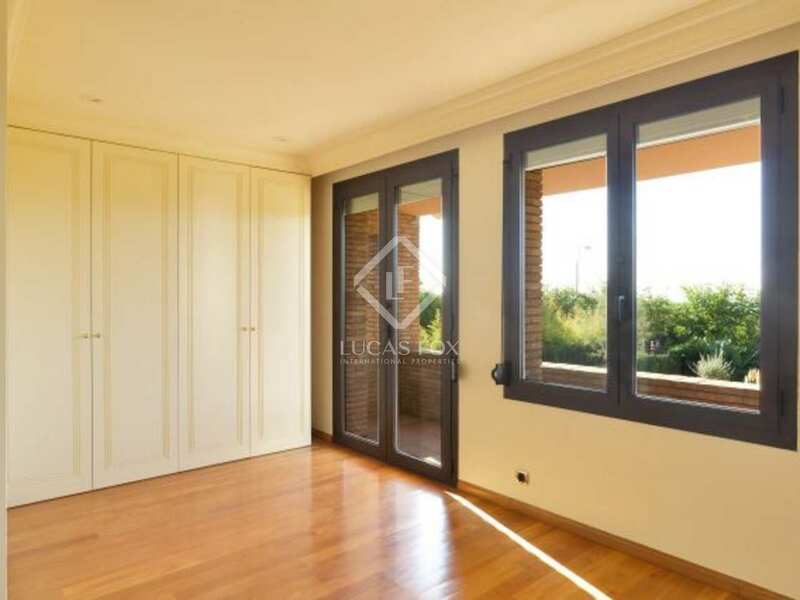 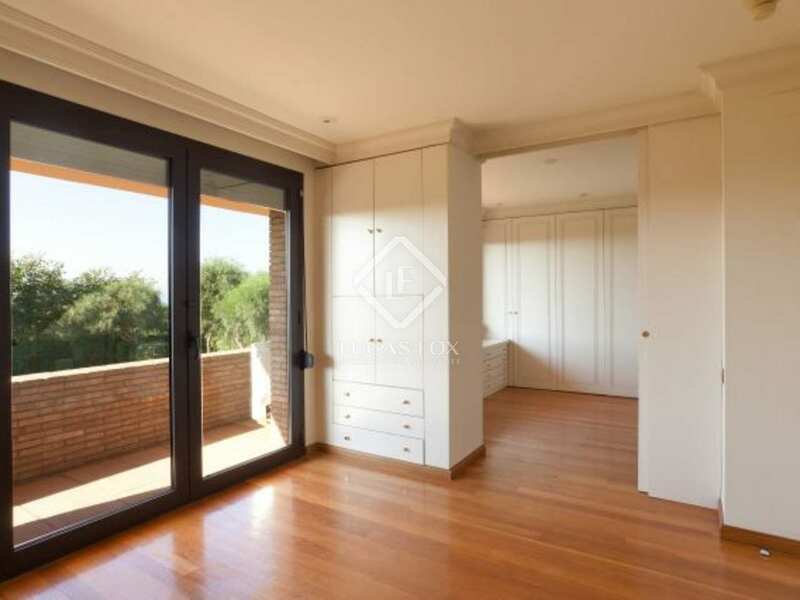 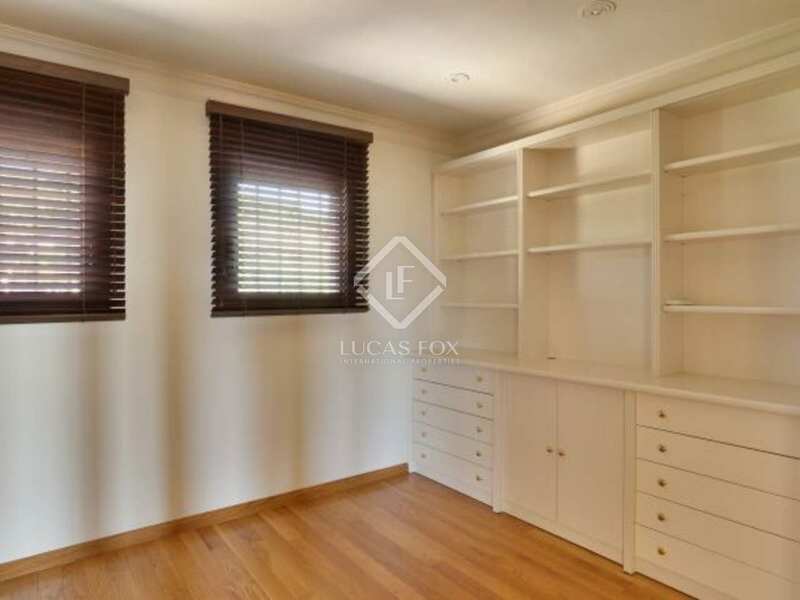 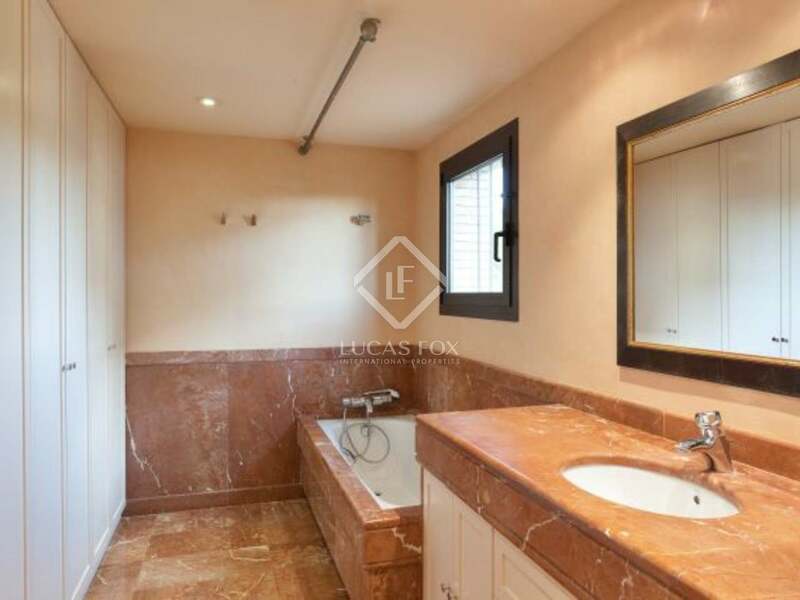 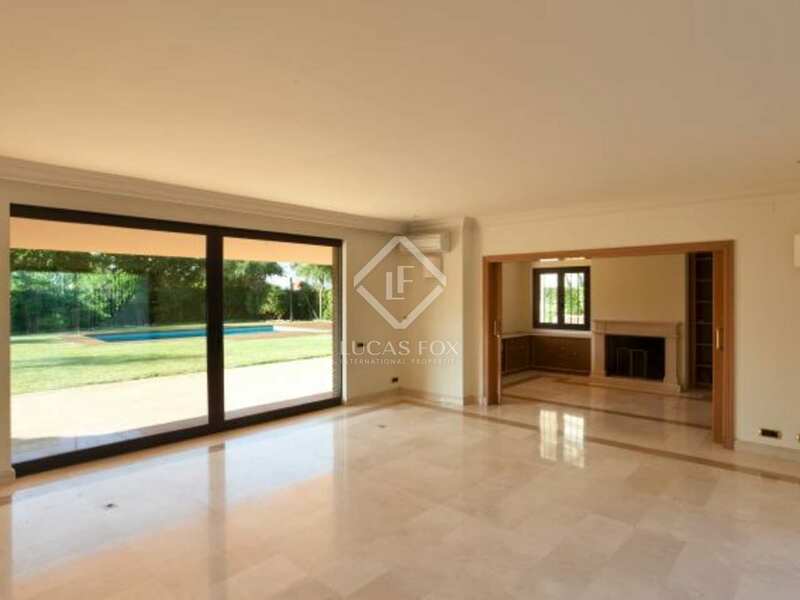 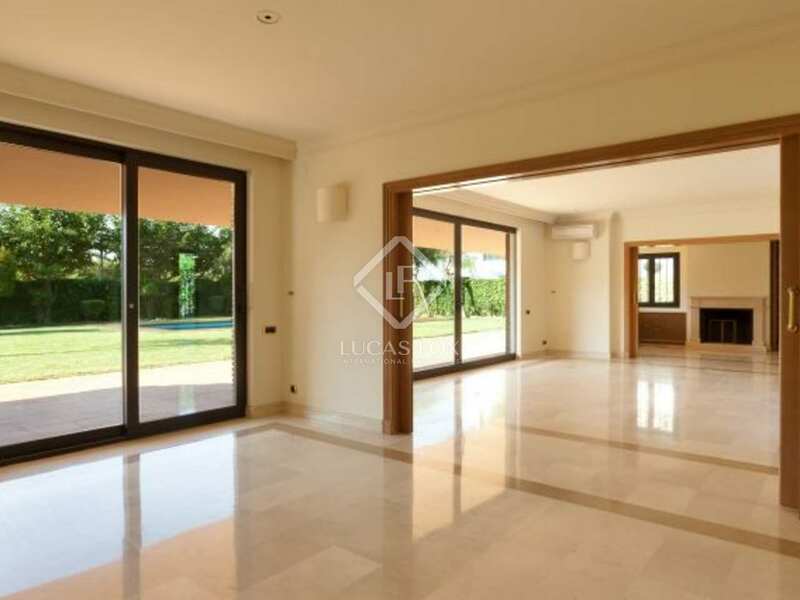 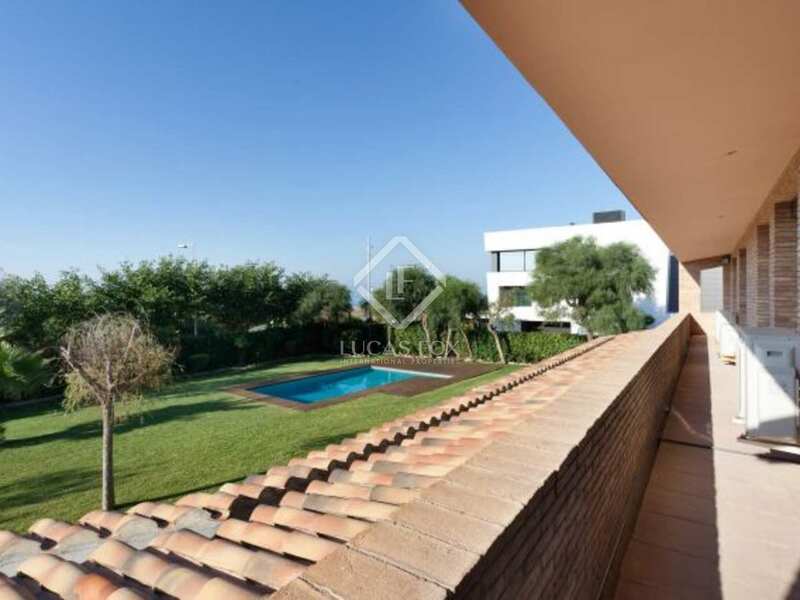 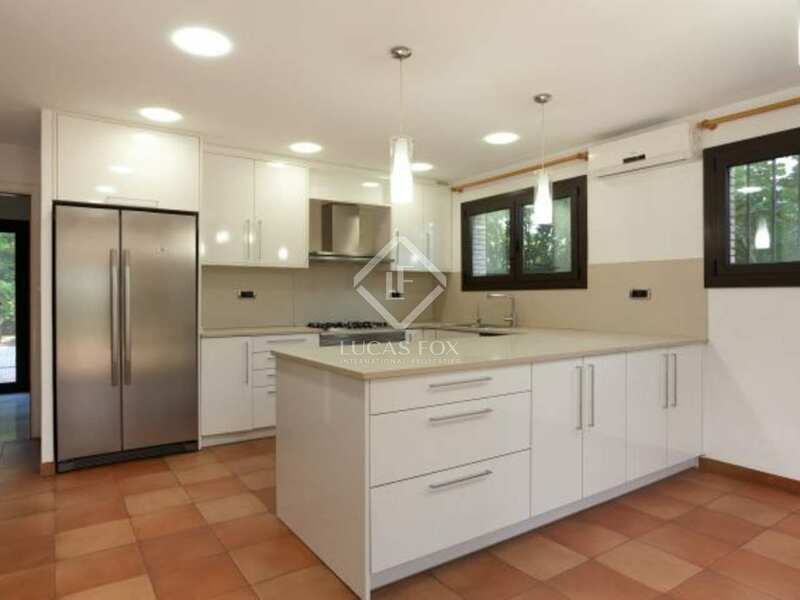 This property enjoys excellent transport links via the C31 and C32 autopistas connecting Gavà Mar to Barcelona international airport in approximately 10 minutes and to Barcelona city centre in 25 minutes. 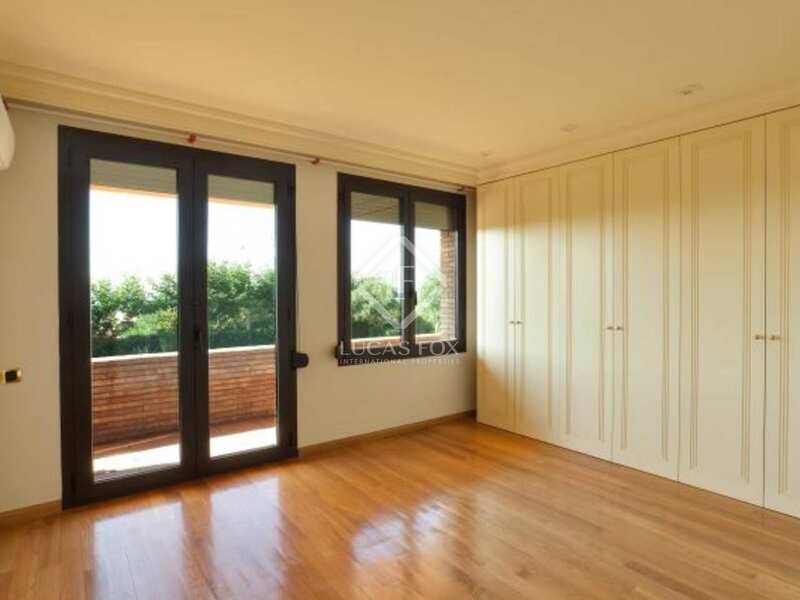 There is also a wide selection of public transport both by road and by rail within the local neighbourhoods of Gavà and Castelldefels, ideal for the business commuter.